Ep. 148: Marci Nault -­ What if you could live a bucket list life? | Aimee J.
Ep. 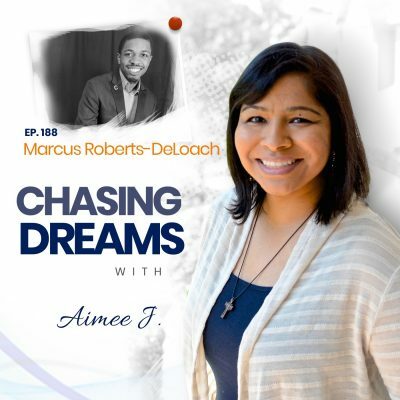 148: Marci Nault -­ What if you could live a bucket list life? How would you live your life if there were no rules, if money wasn’t an issue, and if you weren’t afraid of anything? THAT is our topic for today because we are talking to someone who has the courage to find and follow her own path and not one that society dictates for her. Marci Nault has immeasurable enthusiasm, passion for fun, and a get-it-done attitude, no matter the situation. Her life can best be described as what would result if Marie Forleo and Tony Robbins partnered together on The Amazing Race. In the last six years, she has completed her entire bucket list of 101 dreams come true, all on a barista’s budget while increasing her net worth. 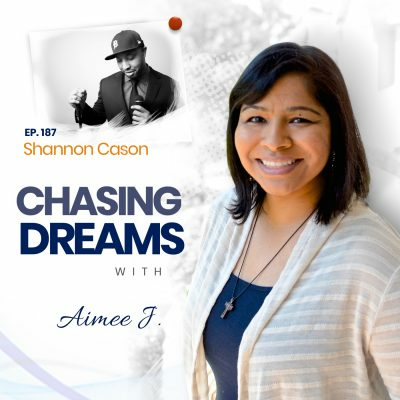 She’s the author of The Lake House, has built and sold two companies, and is a real estate investor. Marci has been featured on The Huffington Post, CBS, ABC, Amped Radio, NPR, and more. She lives fearlessly and has accomplished many things, and she’s not done yet! What do you want from this life? This was the question Marie asked herself as she watched her once-strong brother fight for his life in the hospital during an intense fight with MRSA infection. Her brother’s experience served as a wake-up call for new evaluation and a closer look at her life, which she calls “a mess.” Although she wasn’t sure how to start over, she realized that life can be gone in an instant and knew it was time to go after what SHE wanted for her life. She wondered, “If money wasn’t an issue; if I wasn’t afraid, and if I didn’t care what people think, what would I do? Where would I go? How would I live my life? Who would I want to become?” From these questions came her bucket list of 101 dreams come true. Life isn’t WHAT you do with your life, but HOW you live! We always want to put people in brackets according to their age, profession, accomplishments, etc. For kids, it’s all about what they want to be. In school, we are told to get it right and follow the path that we’re told to follow. Society has blocks that everyone thinks they have to fit into. We are asked, “What will you be: Who will you love? Where will you live?” Marci explains that people are uncomfortable being asked how they want to live because they’ve never been asked. It’s like we have never been given permission to “think outside the box,” but Marci says that it’s time to give yourself permission! This world is the greatest playground you can ever imagine. Life can be gone in an instant. What am I going to do with my life? That started ten years of holy-moly living, realizing that life really CAN be this amazing.